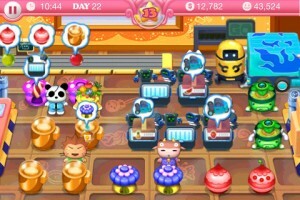 Home Feed Pretty Pet Tycoon is now FREE! Pretty Pet Tycoon is now FREE! For its opening week, we launched a special fans-only offer for 500 free Pet Points with purchases of Pretty Pet Tycoon, and those who bought then can enjoy the benefits of almost US$5 worth of Pet Points. We’re no longer giving away free Pet Points, but there’s still good news for those who don’t have the game – Pretty Pet Tycoon is now available for free! If you don’t have Pretty Pet Tycoon yet, there’s no time like the present. Thank you for your incredible support, and do stay tuned for more updates and offers. Have fun playing Pretty Pet Tycoon!